"It's really just common sense." I thought I understood healthcare through my work as a nurse and my encounters with the system as an inpatient, outpatient, and caregiver spouse. But it helps to look at things through completely different eyes, objectively, almost naively, without preconception or emotion. The simplest questions open the most interesting doors. That's why I like talking to Boo Boo. 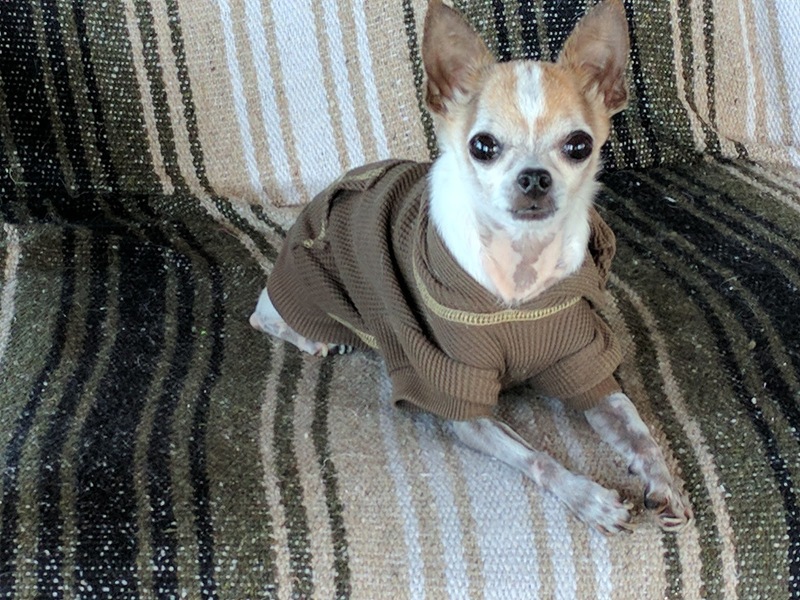 She's an 11 year-old deerhead teacup chihuahua who packs a lot of wisdom in a 3-pound frame. She has a knack for cutting through the clutter to get right to the heart of things. "Those question marks really bother me," Boo Boo explained. "Who knows what could happen?" "Of course, they see opportunity," she continued. "Lots of money is changing hands. Boomers are getting old, sick, and dying. It's a demographic wave, and the surf is most definitely up! " She began to fidget and bounce. "That's why Tom Price wants to allow balance billing under Medicare...," but I quickly changed the subject, because Boo Boo gets really worked up when she starts talking about republicans, especially Tom Price and Diane Black - and that was before she found out Diane Black was running for governor to "beat the liberals instead of caving in to them." "How would you go about exploring hospice as a business in the U.S.?" I asked. Boo Boo thought for a moment, then posed a question of her own. "Is there a list? There's gotta be some kind of list - who they are, how big, all of that - like the S&P 500, or Boston's 50 best restaurants. I think I'd start by looking for a list." She gave that little smile she gives whenever she thinks she's been clever, then curled up and went to sleep. Boo Boo sleeps about 20 hours a day. A simple Google search proved Boo Boo right. LexisNexis, the data analytics and research firm, compiled a list in 2015, "Top 100 Hospice Agencies." In this case, top 100 = biggest 100, based on national market share. LexisNexis says the list is meant to help hospices, "better understand their market position, dynamics and environment for potential M&A activity and grow their businesses." It sounds like what Earl Butz said about farming back in the '70's, "Get big, or get out." You can give them your email and other information for the full version, or just grab it here (pdf). I showed the "Top 100" to Boo Boo when she woke up. "Yeah, I figured there had to be a list like that somewhere. Let's take a look." She yawned several times. "Some of these For Profit Hospices are publicly-traded, so we can wade through their filings with the SEC. But most of the For-Profit Hospices here are privately-held. Good luck finding out anything useful, unless you have enough money for them to take you seriously as a potential investor." "How much money?" I wondered. "If you have to ask, you don't have nearly enough." Boo Boo can be a little snotty sometimes. She caught her tone, "Take a look here in Eastern Massachusetts. The folks at Steward aren't big enough to make the list yet, but don't think they're not going to try. Where did their money come from?" "Cerebrus Capital Management. They're playing with $30 billion. They bought and sold Chrysler!" I had to admit that's out of my league. "Exactly. But getting financial information on Not-for-Profit Hospices is easy. I'll show you how, but first I need to sit in the doorway for a while and bark at the squirrels." And then off she went.